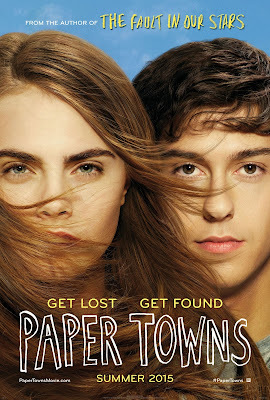 I am super excited to be hosting a giveaway, courtesy of 20th Century Fox, for the upcoming film release of Paper Towns. 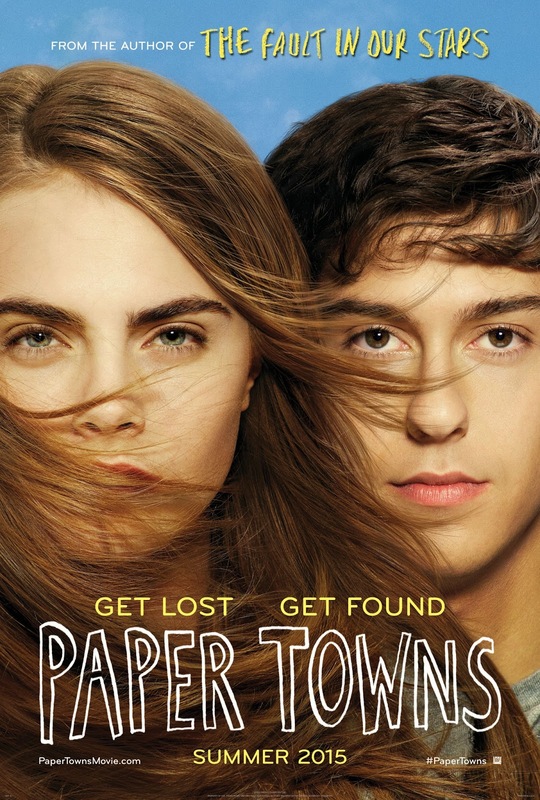 Enter below for a chance to win a $25 VISA to see the film in theaters + Paper Towns buttons + a copy of the book with the movie tie-in cover! Entrants must be US residents. I would say One Hundred Years of Solitude by Gabriel Garcia Marquez. I would like the Catcher in the Rye made into a movie. I am not sure what book I would choose since the books I have read are already made into movies. Probably I'll Meet You There? It would be a great adaption! I don't know if I could choose just one book but some of the thrillers/mysteries I read I often think would make great movies. The Peter & the Starcatchers series would be fun as movies. a great and terrible beauty! I would love to see American Gods in film. Probably The Husband's Secret . All of my favorites are being made into movies! I can't wait to see The 5th Wave, Ready Player One, or Ugly Love! The Fearless series by Francine Pascal. The Unbecoming of Mara Dyer by Michelle Hodkin!! I'd love to see an adaptation of Good Omens by Neil Gaiman & Terry Pratchett. I would love to see She's Come Undone turned into a film. I would like to see a Junie B. Jones movie for my daughter. I'd love an updated version of A Little Princess! I would love to see The Lies of Locke Lamora by Scott Lynch adapted for a movie (television would be ideal, but I would take a movie). The whole series would be amazing visually, and they are so funny and feelsy that I think it could be really successful. Plus, the dialogue is just so good! How about the whole Bible. It would make a great series of movies. I'd love to see one of the "In Death" series of books by JD Robb! I would like to see the Blue Bloods YA series come to the big screen. I would like to see Sandra Brown's new book Mean Streak made into a movie. I'd like to see an updated version of A Tree Grows in Brooklyn. I would love to see Can You Keep a Secret? by Sophie Kinsella made into a movie. A book from my childhood called The Lottery Rose would be such an amazing movie...I have always wished that would happen. I would like to see The Woman Upstairs made into a movie. I would like to see Catcher in the Rye as a movie.